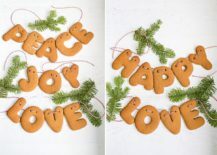 Holidays can be a great time full of fun and endless festivity. 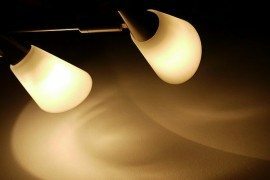 But if you are not ready for all the rush, then it can be overwhelming and stressful. 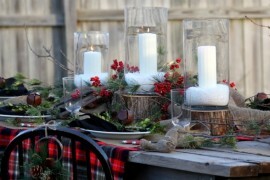 Decorating your home for the Holiday Season often starts early; even before Thanksgiving comes around. 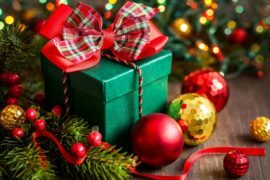 Even if you have not already started preparing for the joyful times ahead, now is a great time to get the ball rolling. 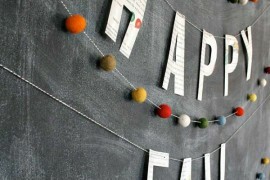 Your Thanksgiving duties are done; the mad rush of Black Friday shopping and even Cyber Monday is all but over. 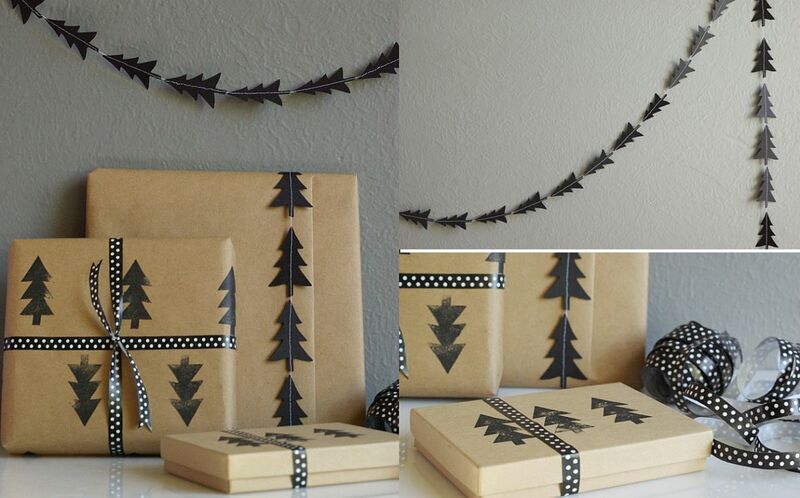 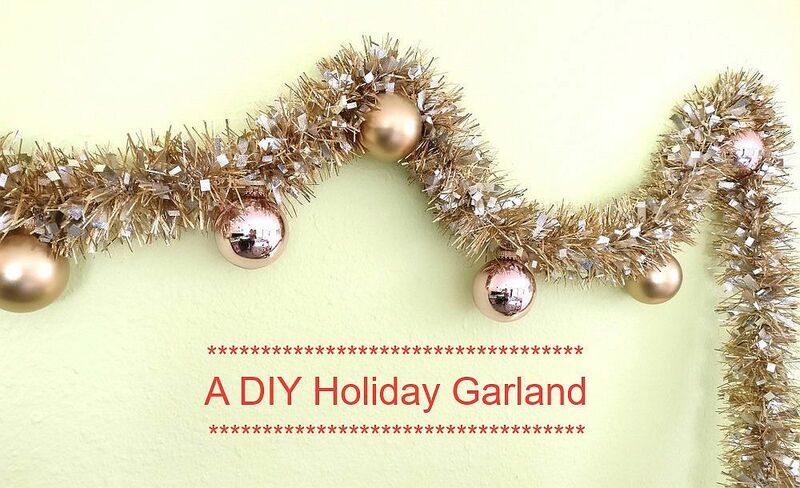 And a DIY Holiday Garland is the perfect way to begin Holiday decoration before you move on to bigger things! 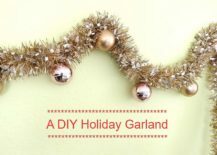 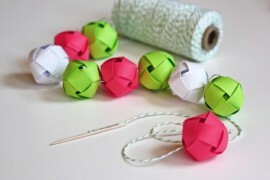 Yup, there are plenty of directions which you can take while crafting the lovely holiday garland. 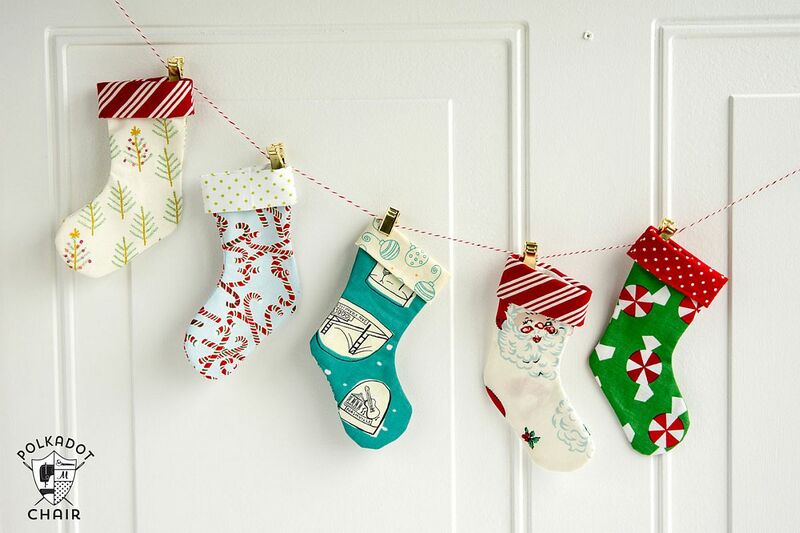 But our absolute favorite is the one which incorporates as much Christmas charm as possible! 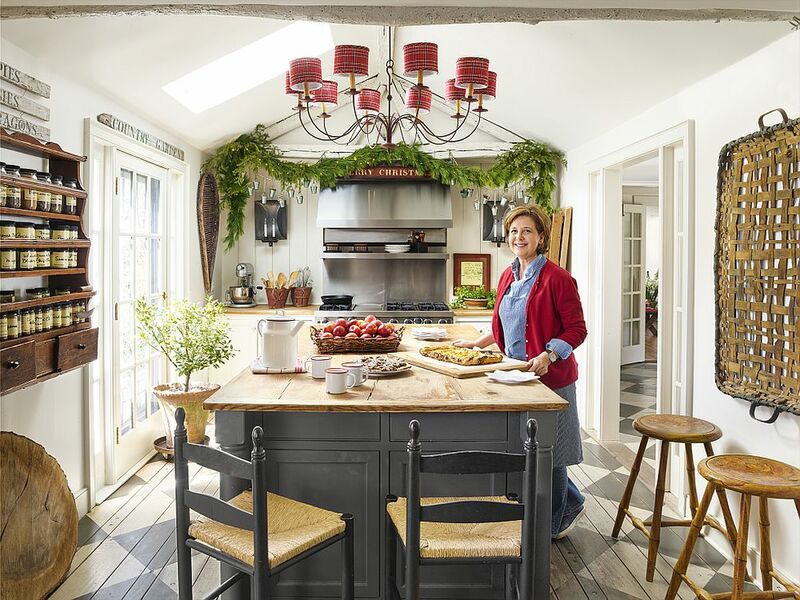 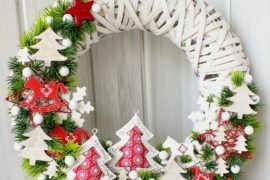 At the end of the day, nothing beats DIY garlands filled with sparkling Christmas ornaments, gorgeous, multicolored baubles or even cool reindeer motifs. 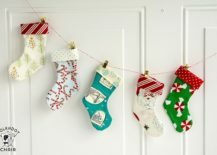 The Mini Christmas Stocking Garland is one of those delightful classic that is bound to attract everyone’s attention and us still super-easy to create. 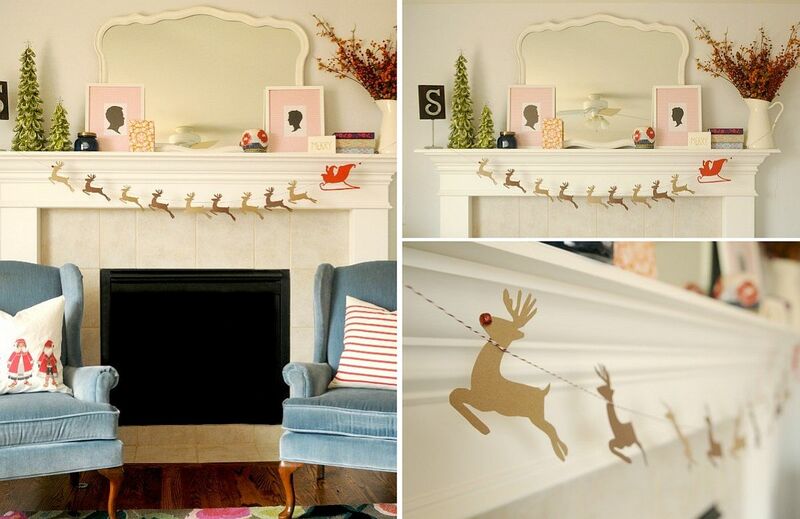 Since you need to decorate the fireplace mantel with stockings, going down the garland route serves more purposes than one. 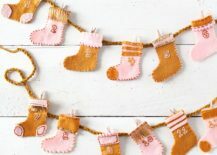 The Advent Stocking DIY Garland is something you can put up right away and definitely builds the crescendo as Christmas Eve comes closer while the versatile Christmas ornaments garland gives you more decorating freedom and sparkle. 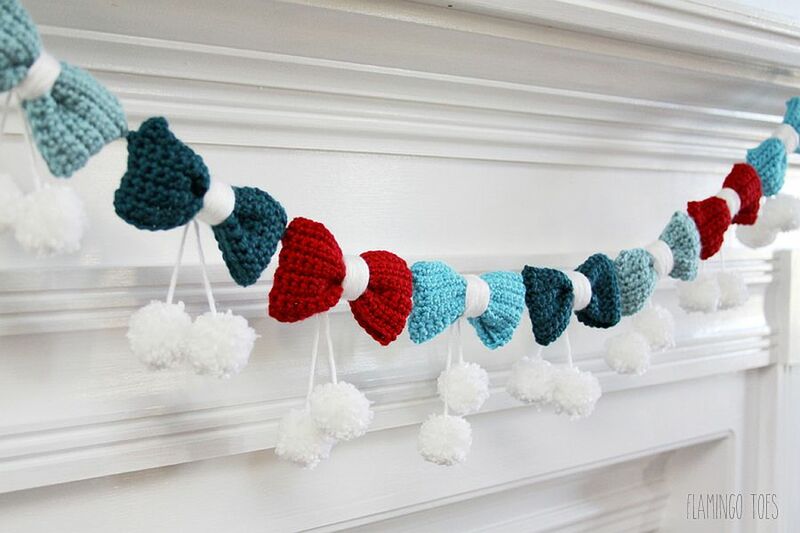 A felt Christmas tree garland feels far more artistic, elegant and still is vibrant and full of energy and the chic reindeer garland is something that kids will enjoy crafting as they get ready for the season’s festivities. 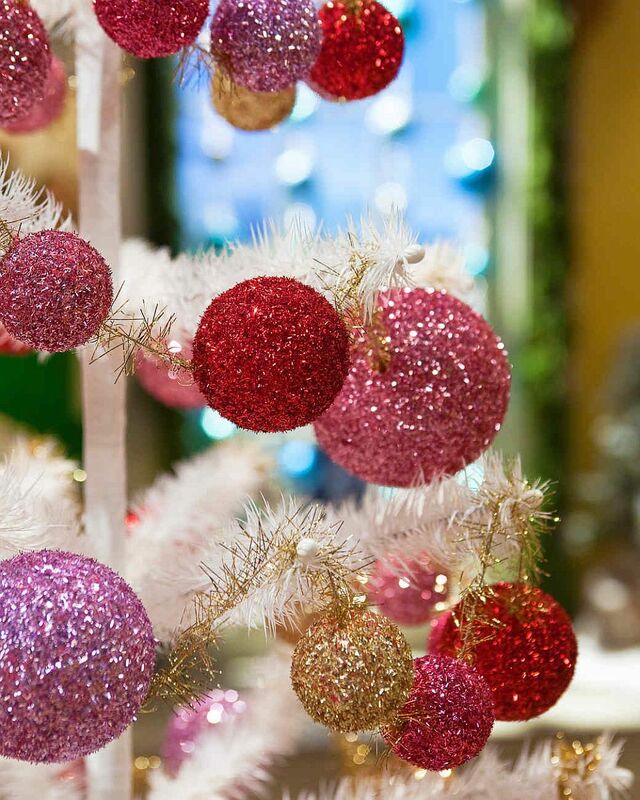 What is the Holiday season with plenty of sparkle and a dash of magic in the air! 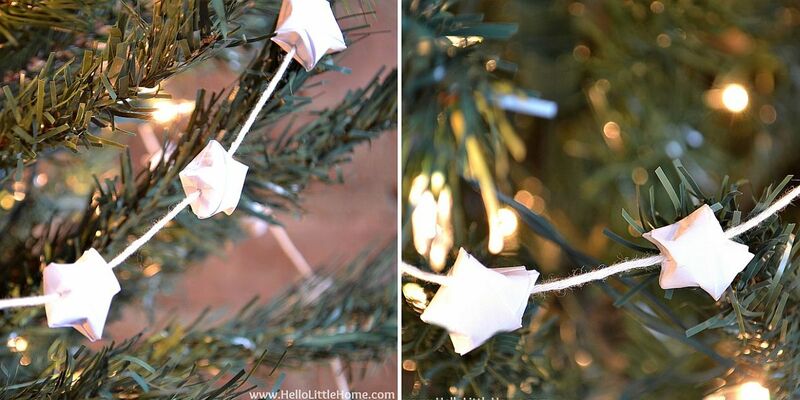 Yes, string lighting plays a big part when it comes to giving your home that great Christmassy makeover. 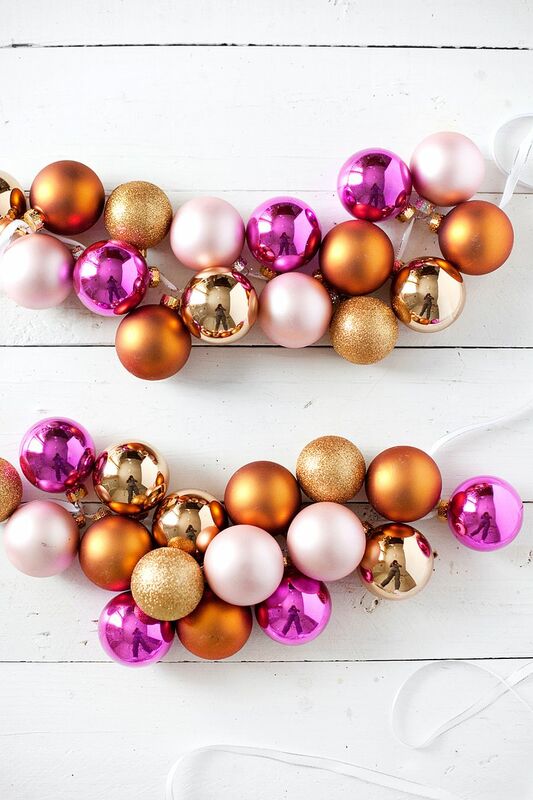 But glittering DIY garlands can accentuate this glow and spread it throughout the room. 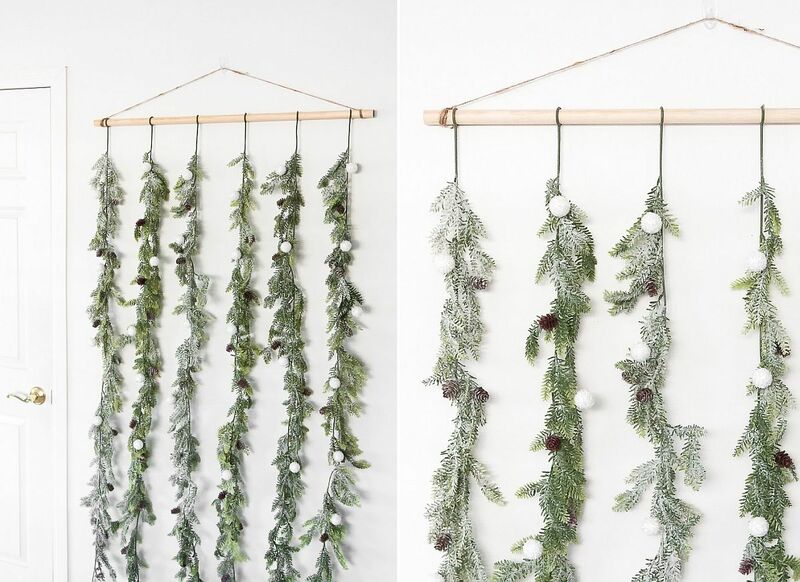 The Festive DIY metallic garland crafted by our own Kate is a great way to start and also brings home some of the most sought-after seasonal trends. 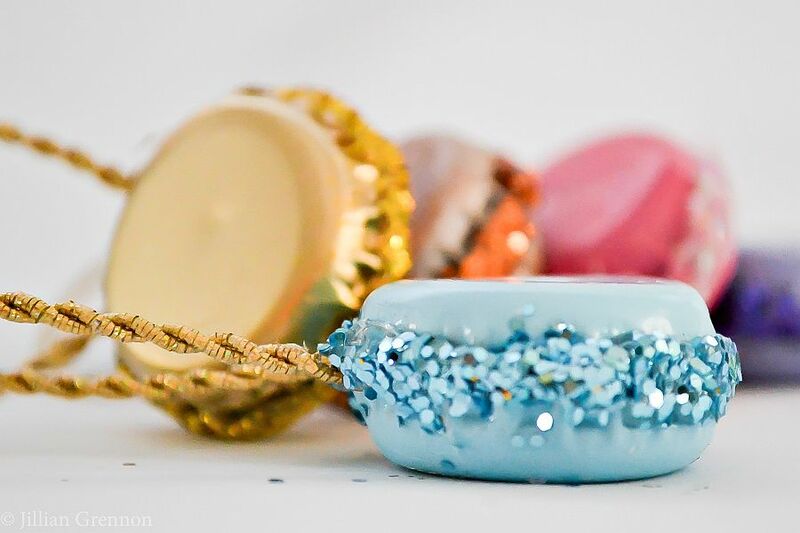 Next on the list of must-dos is the glitter ball DIY garland – a fabulous and attractive creating that fits in pretty much everywhere and does so with plenty of pizzazz. 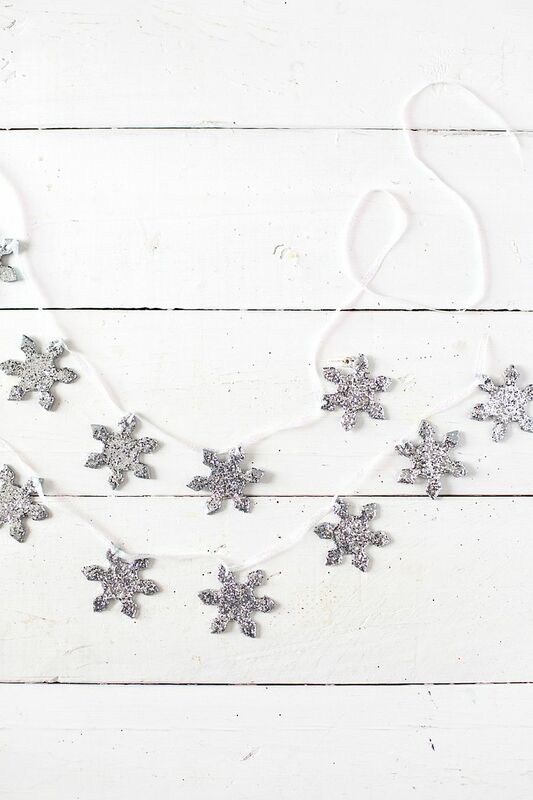 A beautiful and chic sparkling snowflake garland is perfect for those who love silvery charm while those who love a white Christmas will also appreciate the illuminated snowflake garland idea. 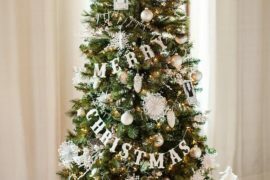 As we alluded to earlier, pairing your homemade holiday garland with string lighting or giving it a metallic, modern upgrade is the surest way to usher in festive gleam even as you keep it classy! 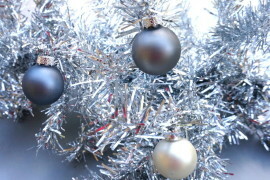 From glitter, we move on to color and you have a wide range of choices here as well. 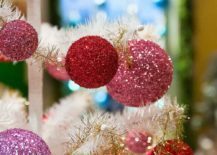 We will not talk about the Christmas ornament garlands that we already showcased above. 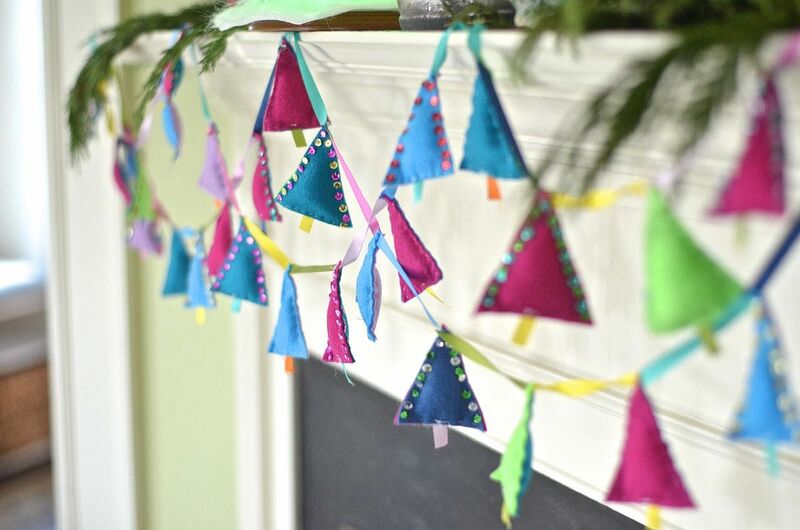 They undoubtedly add plenty of color to a contemporary setting. 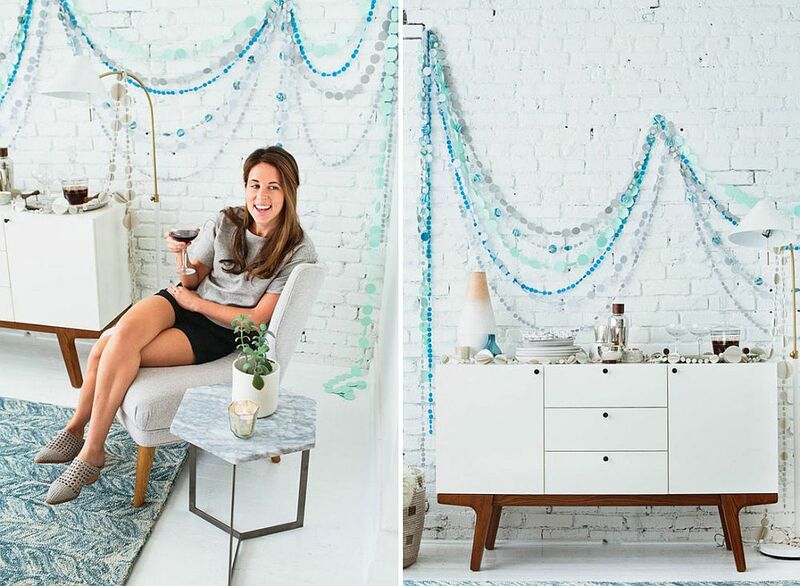 Here, we flip through a few other artistic, yet festive alternatives that will get your guests talking. No matter which other DIY garland you wish to try out this Holiday Season, we strongly suggest you do not miss out on the French Macaron DIY Garland. 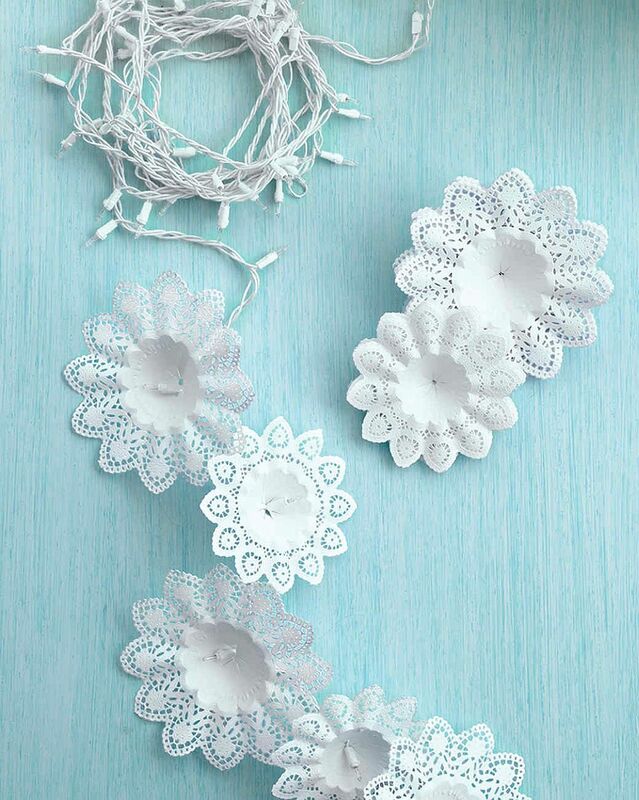 It is a visual treat that will turn heads with an air of whimsical panache. 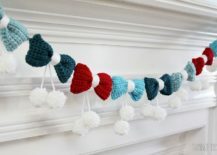 For crafters more adept at handling crochet, the DIY Pom Poms and Bows Crochet Garland must be easy to recreate while the dashing party garland we discovered on Design Love Fest should easily outlive your Christmas and New Year festivities. 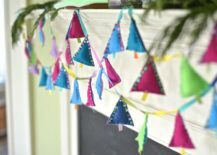 Finally, for some of us out here who are might not be too keen on spending a whole lot of time on crafting a stunning holiday garland, there is the stylish and super-easy shimmering garland made out of leftover ribbon, craft paper and crepe paper. 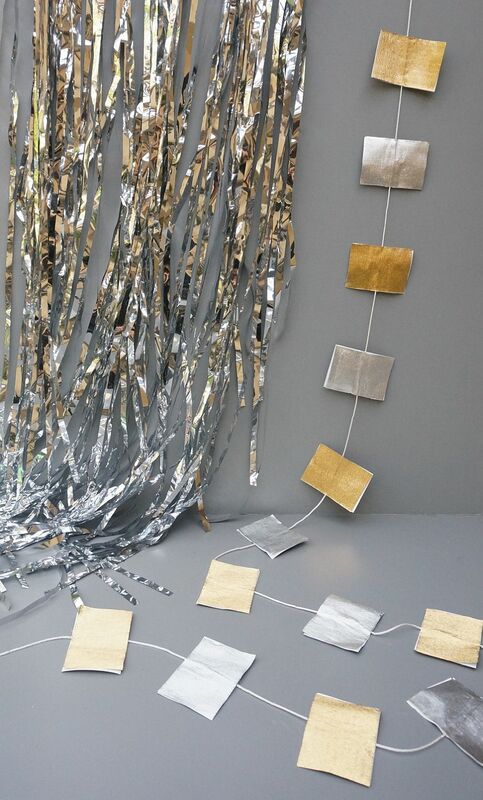 Chic and cool Party Garland works even for New Year Festivities! 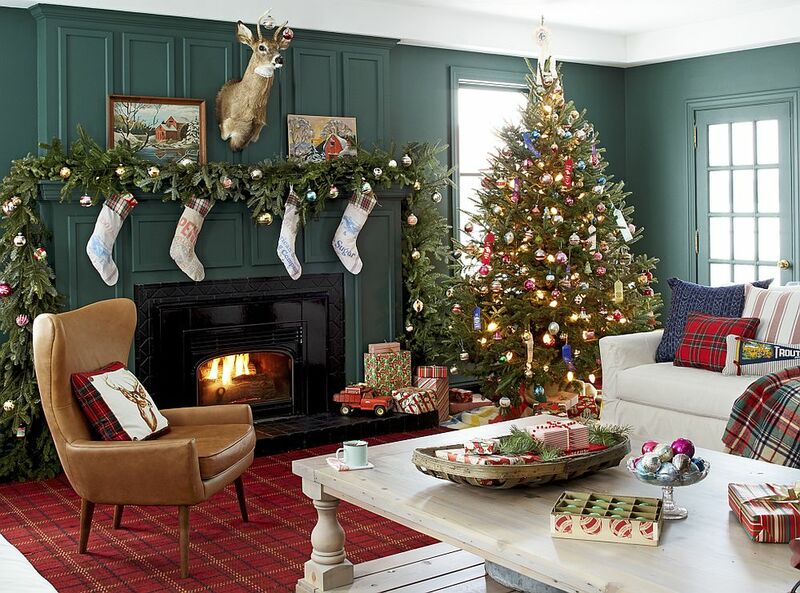 The two most popular colors as Christmas starts to knock on our doors are red and green. 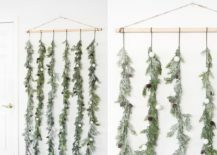 Take this love for green and translate it into a gorgeous, natural garland that is both cost-effective and eco-friendly. 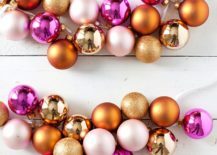 Whether you love beautiful pine garlands put together in a more contemporary fashion or classic festive garlands with loads of green that can bring Holiday cheer to kitchen, bedroom or even the home office, make sure you add a touch of elegance and dazzle to it all with a couple of baubles here and there! At the end of the day, ‘tis season to be jolly and a touch creative!